Sorry there is only one item this week for two reasons. The first being that we are taking advantage of the better weather and having a few days away in our camper (luckily has a great diesel heater in the back) and secondly I’ve put the different versions of the title that I was going to feature somewhere safe! Hopefully I’ll have found them by next week. 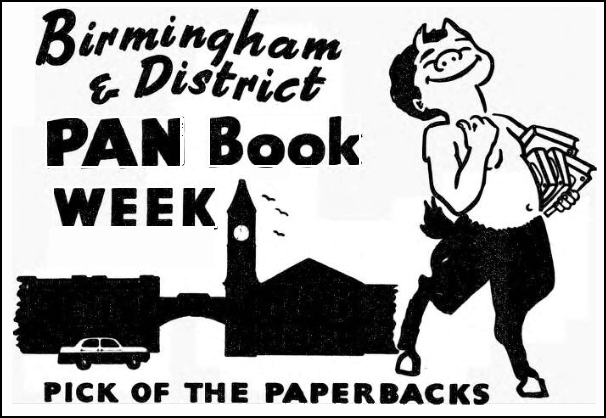 This weeks page is about PAN Book Week which apparently, according to the newspaper article, first started in Birmingham in 1959 which is a bit odd as I have a cutting announcing a PAN Book Week in Falkirk in 1955. I’ve also included cuttings for Aberdeen from 1961 and 1962. Click HERE to see them. I’m currently trying to find what happened to 1960 and did it continue after 1962? Keep reading the blog as I’ll update if anything turns up or please let me know if you have anything to add. As I can’t find this listed in catalogues so far I’m presuming the four titles in it are the correct ones? 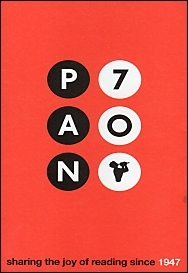 They range in date from 1969 to 1973 and interestingly have three different PAN logos between them. An interesting item appeared on eBay last week but unfortunately was quite a bit above my budget especially up against James Herbert fans. It was a proof copy of ‘Domain’ published by NEL in 1984. It was the letter with it I was particularly interested in having a reference to PAN. It would have been nice to be able to add it to the PAN Horror archives I have but on checking on Herbert’s publications list it looks like nothing came of it or am I wrong? 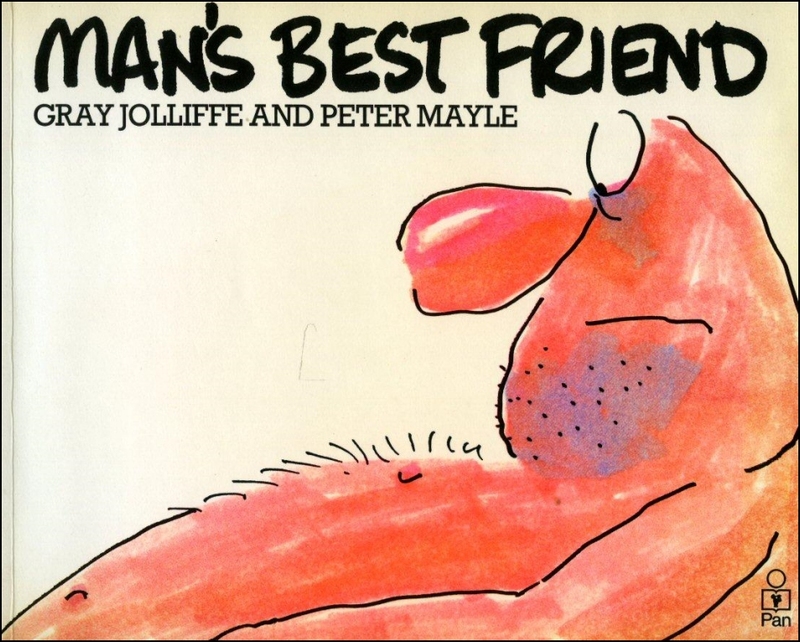 We lost a Golden PAN Award winner last Thursday namely Peter Mayle who was 78. 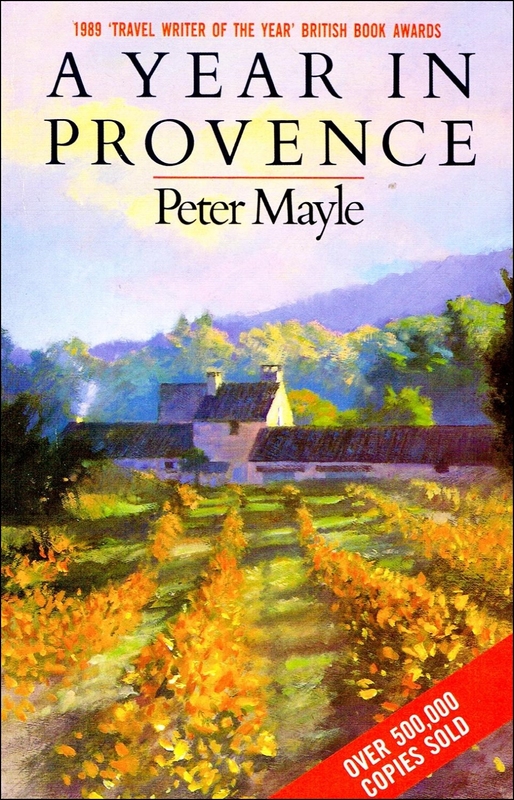 I can’t find a photo of him with the award but here as a couple of the books he is most famous for. One day I might get around to reading one of the ‘Wicked Willie’ series but it’s not that high on my list. With a major overhaul of the later titles definitely due this year I’m pondering on how to list them all on the website. 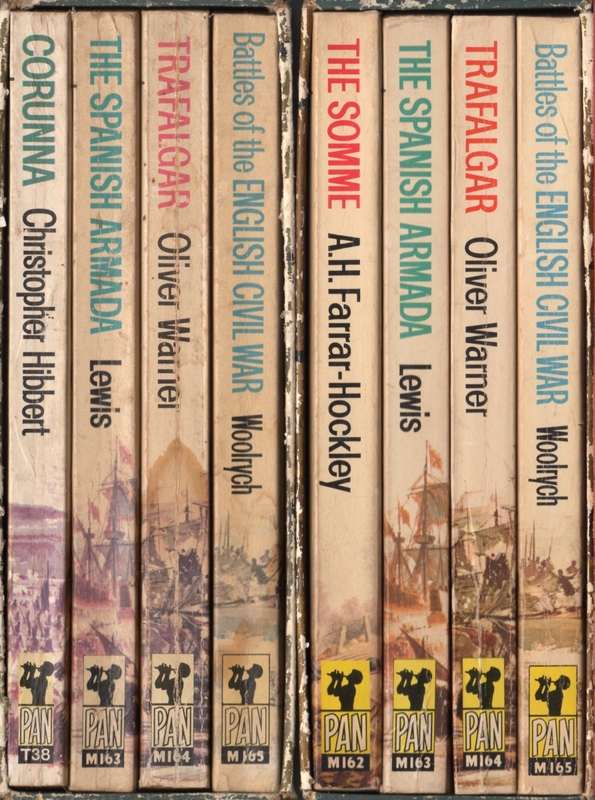 I was cataloguing those that still had the yellow rectangular logo on the spine but later ones only got mentioned on the blog. I think I’ll start to list them by author and show all the titles per page instead of a separate one for each title as now. The original ones with PAN’s eclectic numbering will stay the same although I do intend to rescan them all at a much higher resolution than when I first started back in 1999. I also need to sort out the search and make it more selective as it appears to give multiple returns from everywhere when all we need is the location of the cover. A Scottish feel this week? I’ve learnt a new word this week namely ‘quair’ which is the Scots word for ‘book’ a variant of the English word ‘quire’ This was because I came across ‘A Scots Quair’ by Lewis Grassic Gibbon published by PAN in 1982 to tie-in with the BBC Scotland production of ‘Cloud Howe’ one of three titles published as an omnibus. In 2016 ‘Sunset Song’ the first title in the trio was voted Scotland’s favourite book of all time! 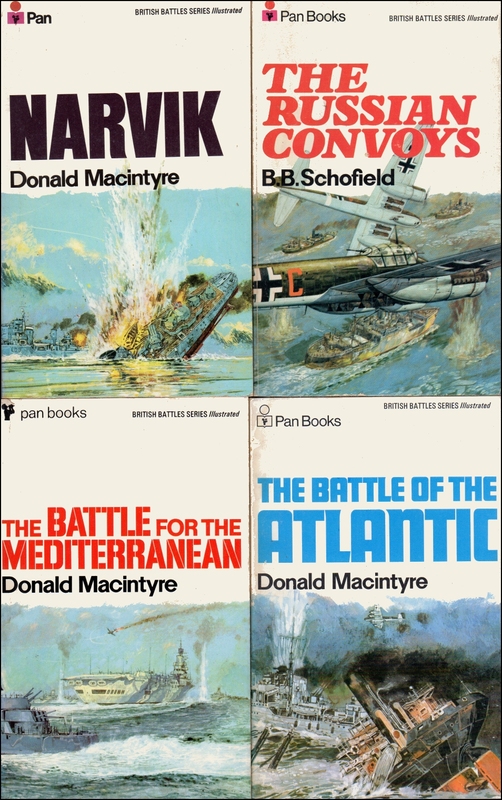 Click HERE to see the covers, any idea of the artist? The third Scottish sounding item is in fact not Scottish and nothing to do with books. Our campaign to reopen the old railway line between Walsall and Lichfield now has an official name for the greenway. 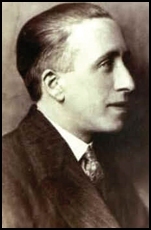 It is the ‘McClean Way’ which sounds Scottish but in fact John Robinson McClean was born in Belfast and was one of those really famous Victorians nobody’s heard of these days. He built and ran the railway back in the 1850’s and also built a pipeline which ran alongside it. Now looking for a printer to print a few hundred way markers so we can officially label it. Waiting for ructions from a few NIMBY’s next week as we are bringing in a digger as the clearing of the drains etc. has got beyond our capabilities! I’m to modest to actually say who designed the logo but I am rather pleased with it! A new cover and a holiday opportunity with a difference. Just when I thought I’d got all but the one elusive title (X705) I spotted an earlier version of X305 “The Shoes of the Fisherman’ by Morris West which I didn’t have. 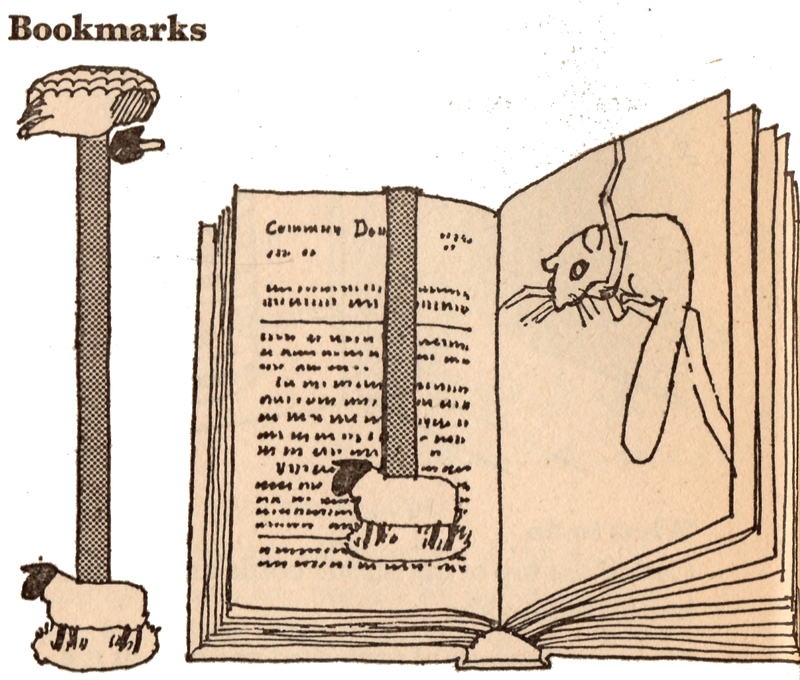 Click HERE to see the editions. 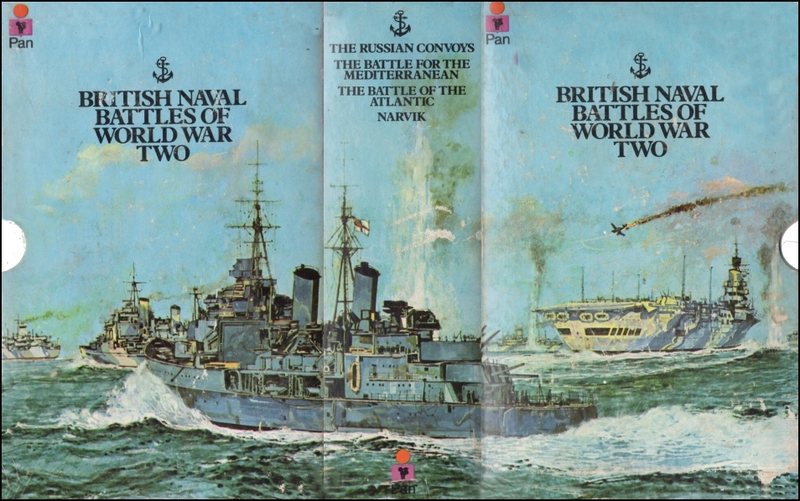 Now wondering how many others there might be out there that I could have missed and so now feel the urge to check all the different editions with PANs eclectic numbering system. This may take some time! 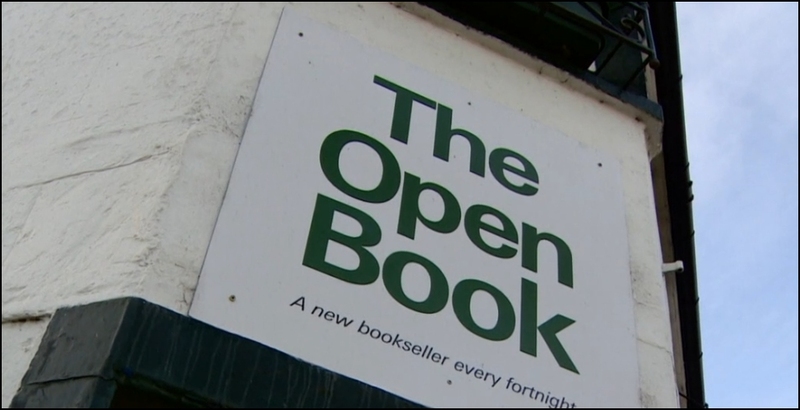 If you find yourself at a lose end and would like to run your own second-hand bookshop for two weeks it is possible in the Scottish book town of Wigton although apparently there are no vacancies until 2020. This made the BBC News and showed several interior shots of this and other shops in the town but try as I might I couldn’t spot a PAN anywhere, how remiss of the film crew. Finally found another title to add to the Piccolo Craft Books ‘Making Presents’ from 1977. Looks like all the presents for Christmas 2018 are sorted! Happy New Year 2018 plus battling on and a what? I’m starting the year off by realising the blog I was going to do for today, namely a PAN catalogue from January 1968 is a catalogue I’ve already used HERE so I’ve selected another page instead. 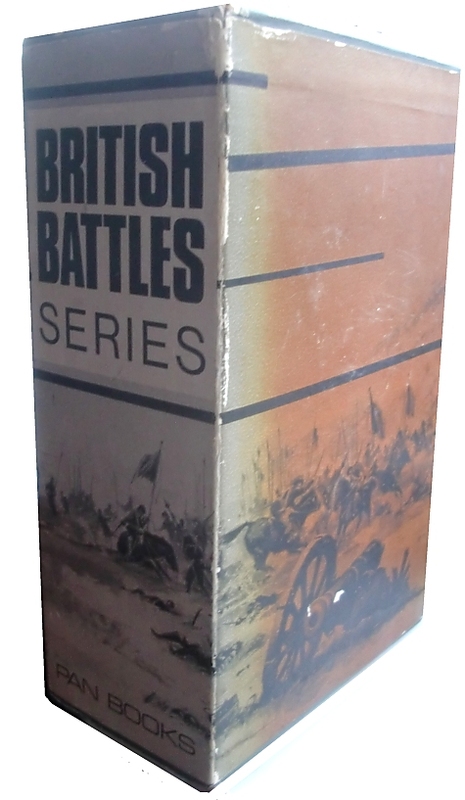 Page 2 features the two boxed sets in the “British Battles Series” which I thought I had got. It was only while having a better look that I realised I have one proper set and one not so. My dilemma now is to decide if I make the one with ‘Corunna’ into the set as it should be? 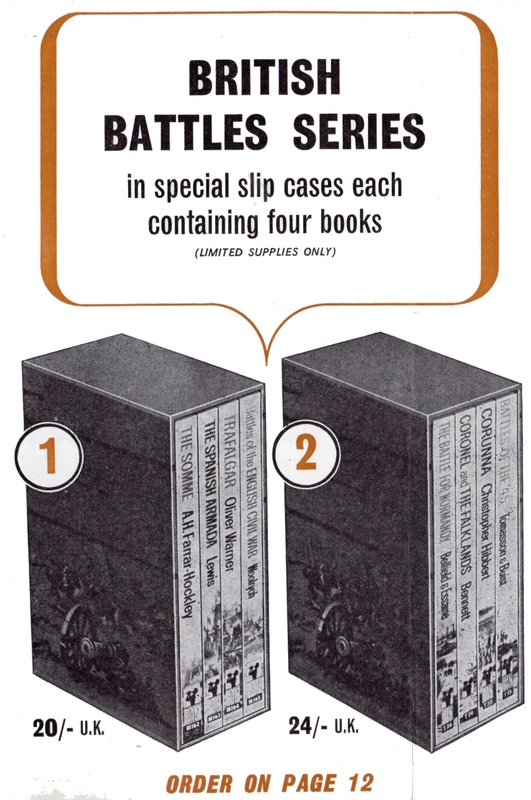 As the slip case appears to be the same for both sets I think this might be acceptable as getting the individual titles is not a problem. Just spotted the very thing for the person who has everything or possibly more money than sense. 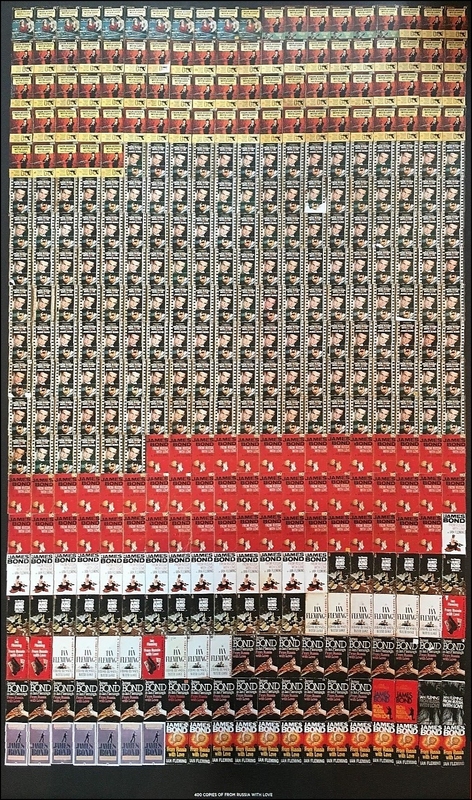 On eBay at the moment is “A very rare poster showing 400 copies of the book cover of From Russia With Love. Only 200 of these prints were made” Now normally I’m into all things PAN but this is one that I’m not going to bid on as a) it’s a starting bid of £100 and b) I’m going cross eyed trying to make it into something that actually makes sense!